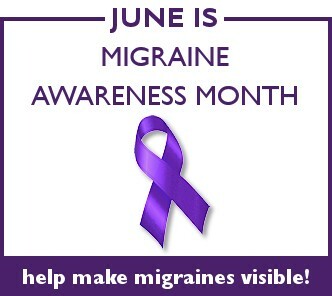 Today is the first day of National Migraine Awareness Month and there are many ways you can “Help Make Migraines Visible” – the theme of this year’s event. 50 Tweets for Awareness Month – This list was created for you top copy and use on Twitter, Facebook, or other status updates during the month of June. 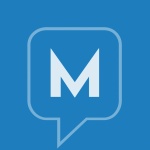 Take the Migraine in America Survey – The survey will be open through June 15th and we will be sharing results with the community very shortly via a live web event. Thanks to the 2,400 participants so far! Sign the Alliance for Headache Disorders Advocacy petition – Urge Congress to hold hearings on the impact of Migraine and other headache disorders (friends, family, and colleagues are welcome to sign). Share and Help Educate – One of the most important things we can do is help educate others about the true impact migraine can have. If a particular article or blog post seems interesting, please share it with friends and family by posting to Facebook, tweeting, emailing, or printing copies. Do you have other ideas for improving Migraine Awareness? Let us know! June is also National Accordion Awareness Month. Coincidence? I think not! Just lost my job because of chronic migraines. I’ve suffered most my life from them. They truly are horrible. Are you going to post the poetry? My baby girl suffers from these nasty things.